Our goal is to first understand your individual situation. It is only then that we can provide true wealth management solutions aimed at reaching your individual goals. Financial Plan: A financial plan is a blueprint of your complete financial picture. 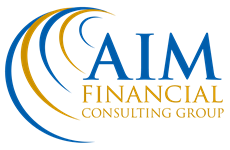 It is an all-purpose tool that enables us to work better with you to make financial decisions for your future. Process: We begin our planning process by first listening. We discuss your lifestyle needs and goals for the future. We analyze your current situation including future income goals. In addition, we collect information in order to understand risk tolerance (how market price variability makes you feel) and risk capacity (how much investment loss you are able to sustain). It is only then that we can help determine the solutions that may be necessary to reach specific objectives.